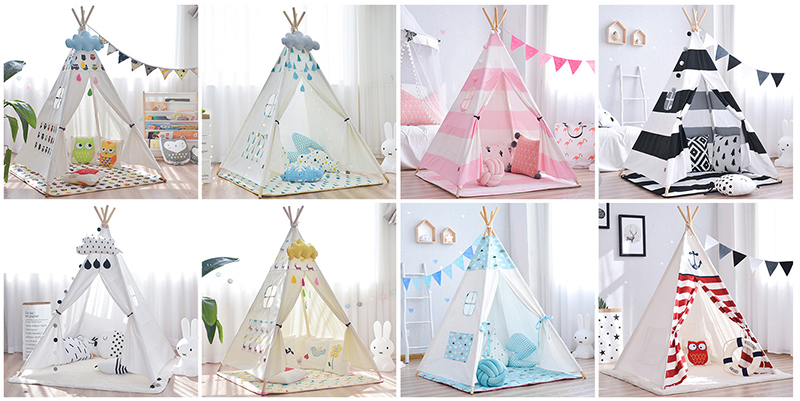 The teepee tent kids is popular as a play house ,kids use it as a great place to hide, play games, crawl around, reading,or take a nap. It gives a lot of fun for kids,family,or for an entire neighborhood. Play games in the tent or use it as ‘base’ in a game of tag. 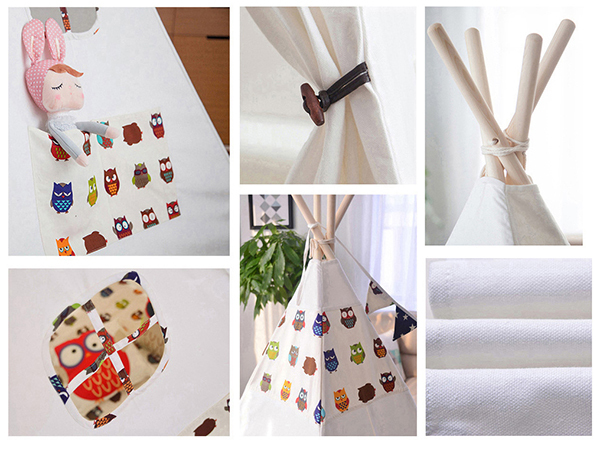 With a child’s imagination, anything is possible with this teepee. 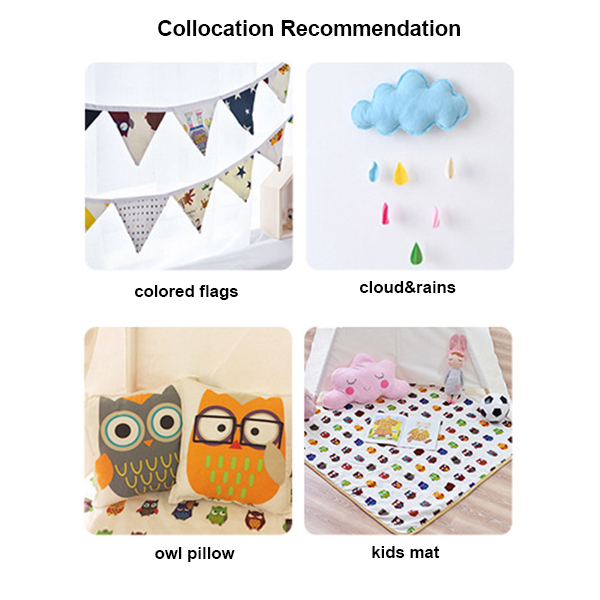 Leny teepee tent kids is made of high quality cotton canvas fabric and New Zealand pine poles,the material is safe and tested by authority organization.There are variaty of patterns for choice,and custom made allows too. 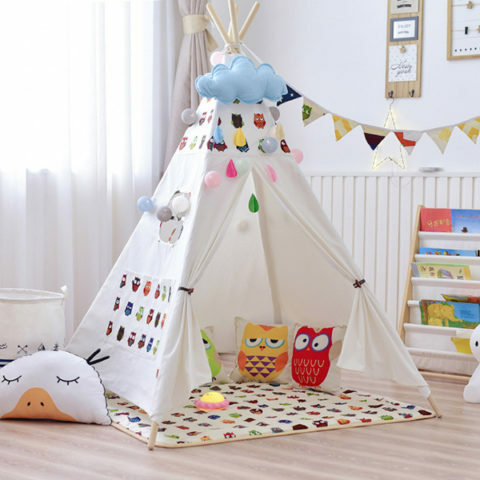 Besides,the teepee tent kids is easy to set up and store away.With a little help from an adult, kids can easily set up the teepee in a few minutes. 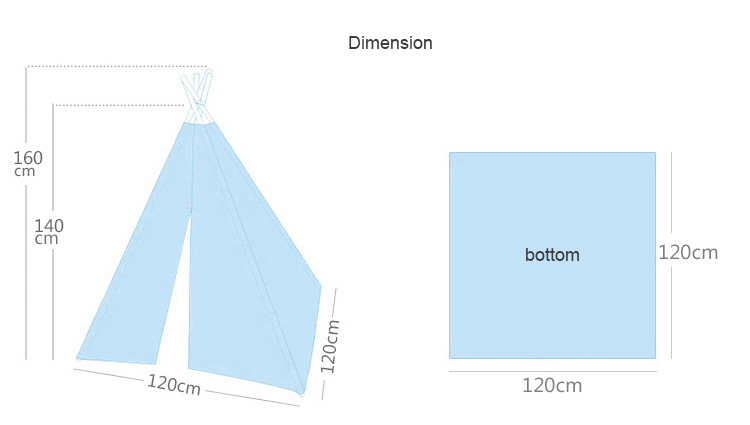 The teepee has pole pockets built into the fabric walls and top ties pre-drilled through the poles. The teepee tent kids can be easy to wipe and clean. There are variaty of patterns for choice,and we also support custom design. Variaty of patterns for Choice,custom design allows.